Tom Devlin provides the graphic design for one of the finest new graphic novels this year. 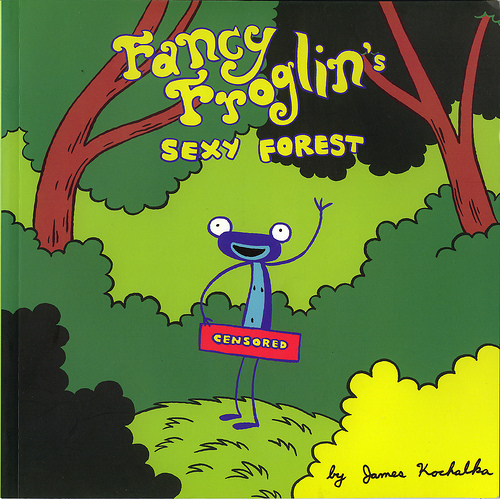 Fancy Froglin is an ineffably cute happy little frog that loves getting boners. He’s highly sexual yet purely innocent. And he loves bunnies. Most important, he’s really f-ing funny. [Mature Readers Only! ].